Leyla Mustafayeva attends a rally in Tbilisi, Georgia, on May 31, 2017. Freedom Now is a grantee of the Open Society Foundations. 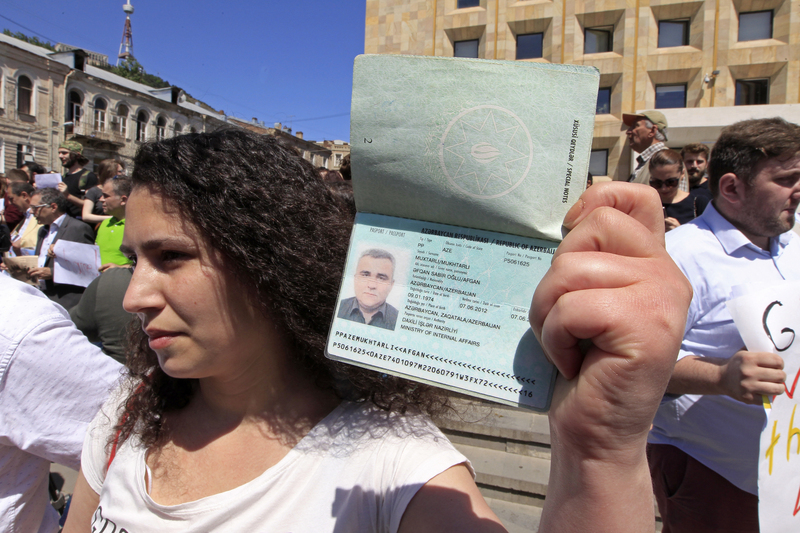 Read the complete report on Azerbaijan’s efforts to silence dissidents living in exile. Georgia should live up to its ideals also in relation to Azerbaijani dissidents. Difficult, but necessary when you belong to Europe. Melina Milazzo is the Washington, D.C., director of Freedom Now. A series of human rights rulings against Azerbaijan underline the need for a concerted response from the Council of Europe to the deteriorating political situation there. The Eastern Partnership remains the EU’s most effective foreign policy instrument for creating stability in the countries around it.